It’s ok to Play with Your Food…..
My latest mission has been to reuse, recycle, up-cycle, and not waste anything. So as I was cleaning out my fridge tonight, I found leftover avocado from 2 days ago. As much as I LOVE avocado, I’m not a fan of eating it unless it is fresh and it’s rare that I have leftovers! 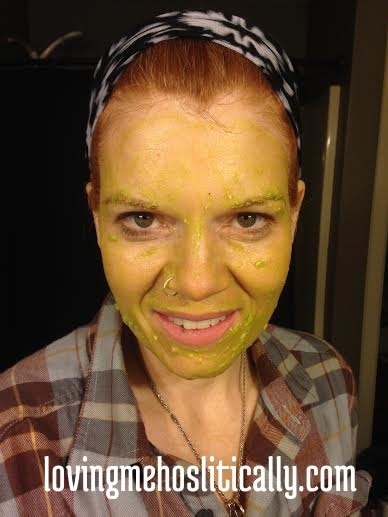 So what better way to use up avocado then to do a face mask. This is perfect timing because we have been running the wood stove constantly and my skin is really dry. It is a very effective cream for sun burnt or damaged skin. The chemical composition in Avocado helps to quickly regenerate and rejuvenate the skin. For individuals with blemished skin, aged skin or sun damaged skin, the sterolins found in avocado helps heal and hydrate the skin. It also contains proteins, fatty acids, Omega 3 and folic acid. It has the treasures of Vitamin A, B, C and Vitamin E to help the skin look vibrant. 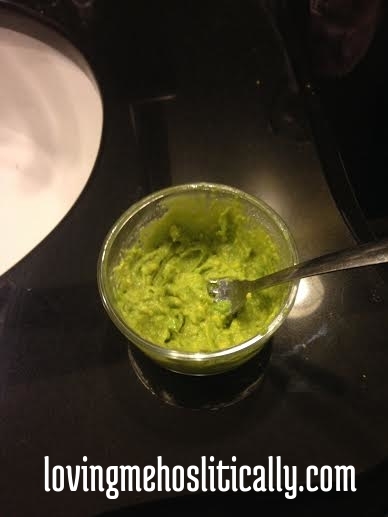 I mixed 1/2 of a mashed up avocado with 2 table spoons of olive oil, and a teaspoon of Vitamin E, with 2 drops of Roman Chamomile, 2 drop of Myrrh, and 1 drop of Geranium Essential Oils. I massaged the mixture to my face and neck, and let it set for about 10 minutes. I then washed my face with warm water and applied my Chaga oil mixture (which I will post another time). 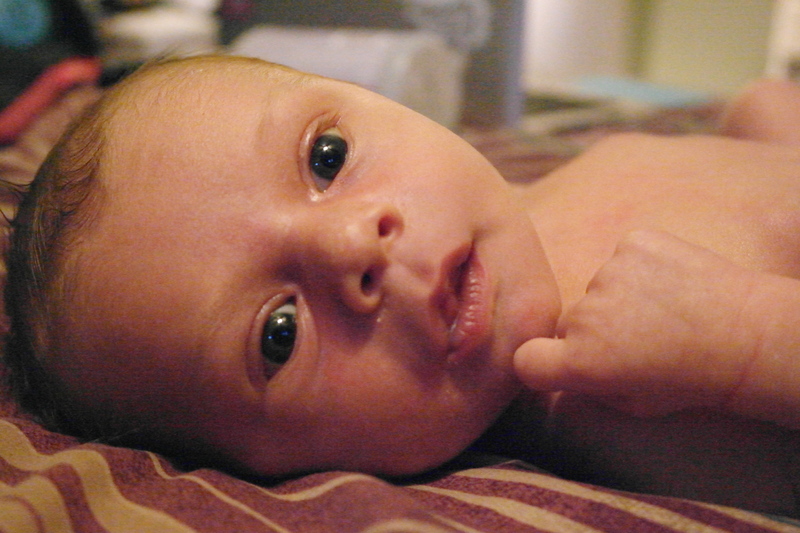 My skin feels delicious, soft, and hydrated. So the next time your mom tells you not to play with your food, be a rebel and play away!!!! This entry was posted in Hair Care, Healthy Environment, Healthy You and tagged avocado, diy, essential oils, face mask, recycle, reuse, Skin care, winter skin care on January 18, 2016 by Jen. The temperatures are really cooling down here in Maine. Now is the time of year we start up our wood stove and ours has been running every night for the past week. Wood heat zaps the moisture from the air, and my skin and hair are really feeling the effects of it. So I decided to give my dry fizzy hair a little TLC, by making a hydrating warm oil treatment. This treatment is not only hydrating, but promotes hair growth and a healthy scalp. First boil 1 ½-2 Cups of water in a small pot and remove from heat. 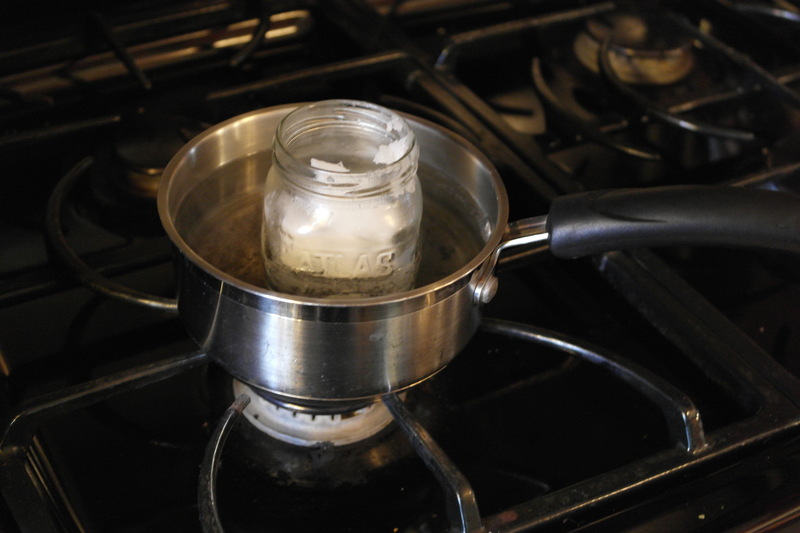 Place the coconut oil in a glass jar and place the jar in the boiling hot water, and allow it to melt. 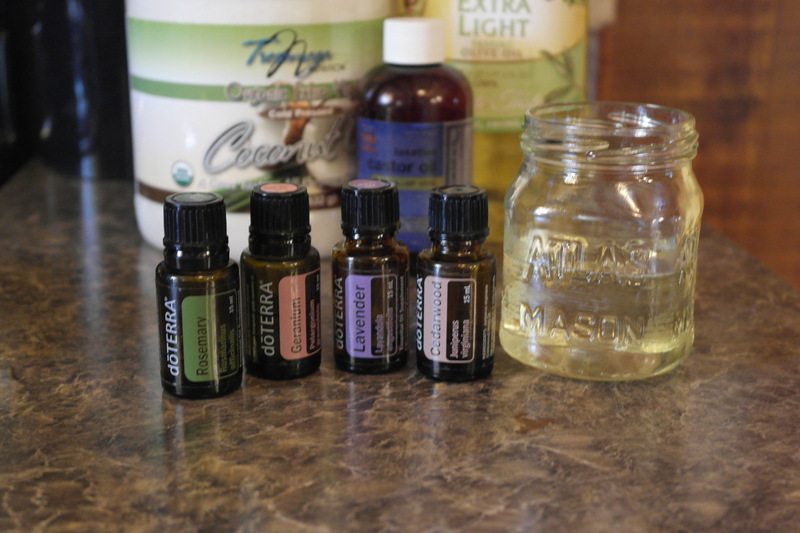 Once the coconut oil has melted, add the Olive (or Avocado oil) and the Castor Oil. Next add the essential oils and place the cover on the jar. Gently invert the jar 8-10 times. Apply to dry hair. I found it easier to take 4-5 tbsp. of the oil and place it in a small dish. Rub oil into hands and distribute evenly on to your scalp, working the oil down the hair shaft. Once applied throughout the hair, massage your scalp for 3-5 minutes. 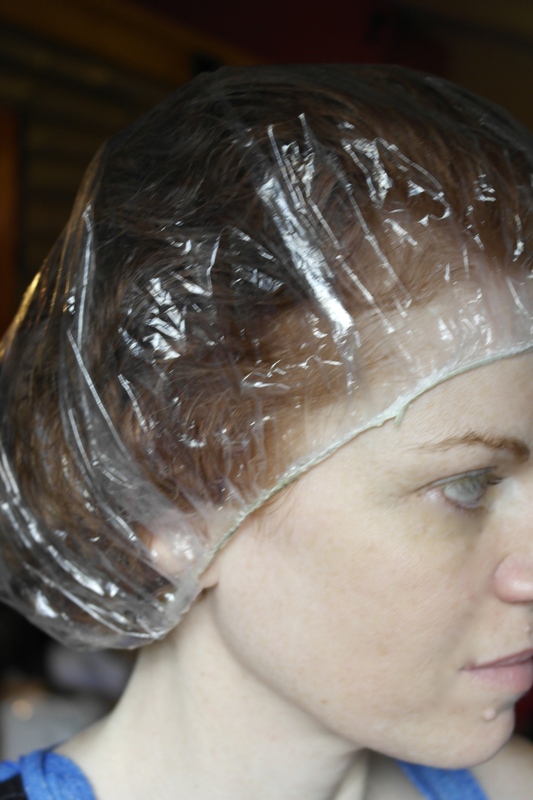 Place a plastic shower cap over you hair and allow the oil to stay in your hair for 15-30 minutes. Risen thoroughly and shampoo. You may need to shampoo 2 times. You can apply conditioner, but I usually just rub some coconut oil through my hands and distribute it through the ends of my hair. Your hair will be soft, shiny, and color will look deeper. 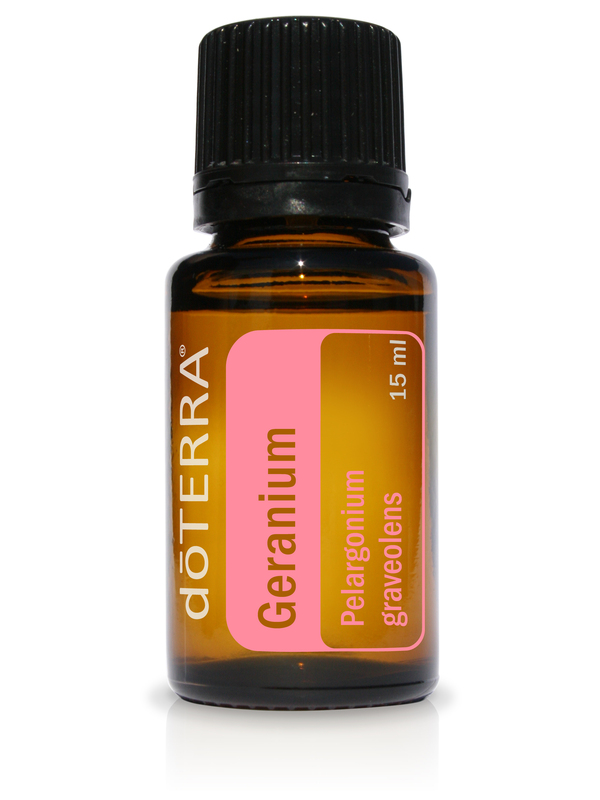 This oil is good to use every 2-3 weeks. 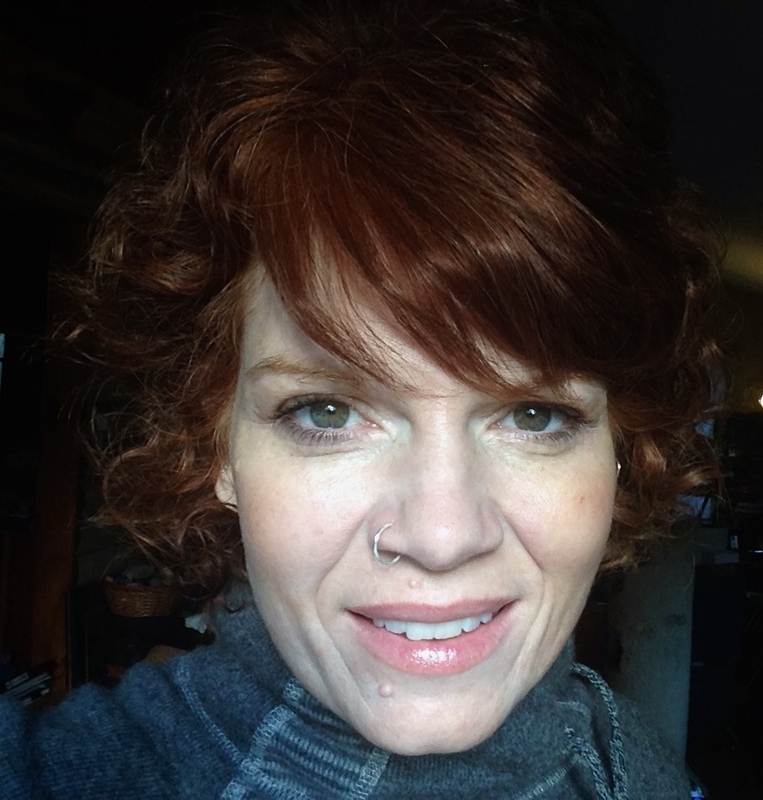 This entry was posted in Hair Care and tagged Avocado Oil, Castor Oil, do Terra, dry hair, essential oils, frizzy hair, Glass jar, hot oil treatment for hair, Lavender essential oil, natural hair treatment, oil treatment on November 9, 2014 by Jen.